A free, Spanish-only conference call for Nashville flood victims will be held today at 2:30 p.m. This opportunity is perfect for people who need clarity on navigating the system before deadlines expire, immigrants and refugees who speak Spanish, people who are skeptical of approaching government services in person, and people who lack access to help because of language barriers, cultural barriers, or lack of transportation. Valuable information for renters and home owners will be made available from the convenience of a caller's cell phone, home phone, or pay phone. It is a toll-free call: 1-866-776-2058 (please give conference number 89217111). Please encourage your clients, friends, and congregation to call-in and join Luz Binns of Metro Social Services and Luisa Hough of the Mental Health Association on July 27 at 2:30pm. If missed, this conference call information will be posted on the www.ichope.com website. A New York couple, Mr. and Mrs. Francis Hoffman, stopped in Murfreesboro on a train trip in 1925. During the layover, they searched in vain for a Catholic church and mass. "Some months later Bishop A. J. Smith in Nashville received a gift to build a chapel" in Murfreesboro. Mrs. Hoffman requested that the new place of worship be named for her patron saint, Saint Rose of Lima. A lot on the northeast corner of University and Lytle was purchased for the new church from Helen C. Earthman on April 25, 1929, for $2,500. This plan to construct the county's first Catholic Church was the target of a local KKK protest march. 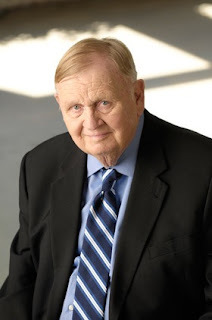 The Daily News-Journal article quotes 93-year-old Murfreesboro historian C.B. Arnette, 93, who witnessed the march protesting the new building for the Saint Rose of Lima congregation. Arnette said you could recognize marchers by their shoes: one marcher was a local physician, and another was a Church of Christ preacher. In the 1920s, Hiram Evans, the Imperial Wizard of the Ku Klux Klan rose to prominence with a populist, nativistic, and anti-intellectual message to the American public. Klan members identified the Irish and Italian members of Anarchists, IWW, and WFM organizations as national threats that sought to overthrow the government through force. The Klan’s job was to protect Americans from these corrosive elements. They labeled Individuals such as Carlo Tresca, Mother Jones, and Nicola Sacco as “bomb-throwing lunatics.” The Catholics also came under close scrutiny because the pope was a “monarchist” and the Catholics subverted the nation. The Catholic “monarchists” would never assimilate because their religious structure conflicted with the republican ideas of Protestants who had decentralized church hierarchies. 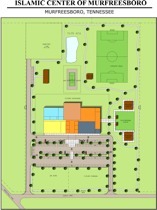 Construction of Saint Rose of Lima's new building continued anyway, and the building was dedicated just six months after the property was purchased. 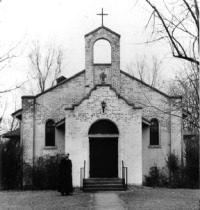 The congregation of Saint Rose of Lima Catholic Church of Murfreesboro thrives to this day. "We have a duty to investigate anyone under the banner of Islam," Allen Jackson, the pastor of World Outreach Church, said at the meeting. [Mike] Williams, who attends All Saints Episcopal Church in Smyrna, said he believes "very strongly that all of us are the children of a God. "We are entitled to an equal inheritance. In America, our inheritance is freedom of religion, freedom of speech, freedom of the color of skin. In short, the Constitution of the United States belongs to all of us." I made a stand to protect the rights of every American, not just those that form the majority. ... Unfortunately, there are many people that disagree strongly with or don't understand this basic American principle and how it should protect the rights of others. ... Right now they are lining up to deny other Americans their Constitutional rights and discredit our mission to put the people of Middle Tennessee first in Washington. "I think people should listen very carefully to their clergy and what they teach. If they teach violence and hatred (of other religions), I think it is incumbent upon the parishioner to get up and walk out." 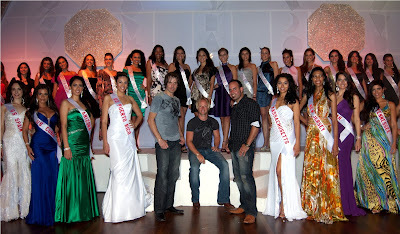 Delegates to the 2010 Miss U.S. Latina national pageant. Miss Tennessee Latina Lilibeth Leon is in the first row, far right. Miss Tennessee Latina Lilibeth Leon returned from the 2010 Miss U.S. Latina national pageant without the top crown, which was won by Elizabeth Robaina of McAllen, Texas. The pageant was definitely an experience I'll never forget. The Dominican Republic is absolutely beautiful, and the Dominican people were so welcoming and accommodating. It was certainly a tough week. There was little time between long rehearsal hours, interviews, and preliminary competition, but I knew going into the national pageant was going to be hard work. For me, the most rewarding part was the amazingly talented women I got to meet from all over the country and of so many different heritages. I know it seems cliche to say, but in reality, we never felt we were competing against each other. The camaraderie was incredible. The competition was tough, and there wasn't a single woman there that wasn't qualified to take the title of Miss U.S. Latina. Being on that stage and seeing everyone who had traveled all the way to Punta Cana to see us and support us and knowing we were being watched live via internet around the world was surreal! I thank the organization, the delegates, and Tennessee for having given me this opportunity. Leon also added that she hopes she can pass on her crown, since the state pageant is currently up in the air due to the vacancy in the state-level administrator position. More photos from the 2010 national pageant are below. 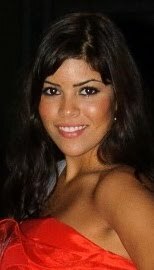 All photos are used with permission of Miss US Latina. This post by Nashville's own Carrie Ferguson-Weir was originally published over at Bilingual in the Boonies. It is reproduced here with the permission of the author. "Our Values Are Your Values"
Surfing across Facebook this week, I ran across Tim Chavez's old page, which led me to look up how long it's been since we lost him to cancer. It was a little more than a year ago, on June 18, 2009. You can read stories related to Tim that were published on HispanicNashville.com here. 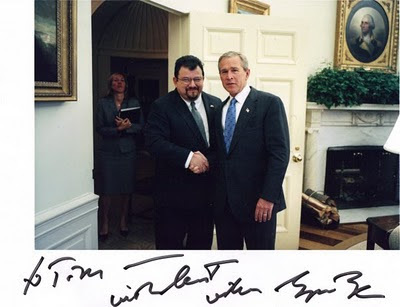 The photo above is from 2001, following Tim's interview with President George W. Bush for Hispanic magazine. 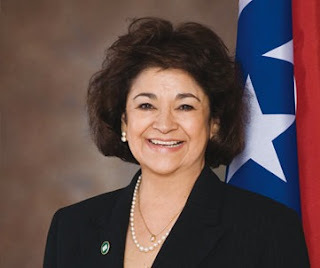 Today is the birthday of San Antonio native and Tennessee State Senator Dolores R. Gresham (R). 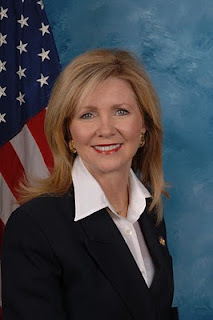 Gresham is the granddaughter of Mexican immigrants to the U.S., and the first Latina State Senator in Tennessee history. Our passion is to train, mentor and inspire excellance and we have been effective in impacting thousands of Hispanic worship musicians, and these special guests will help us to accomplish this goal here in Nashville. Jaci Velasquez is one of the world’s most successful and beloved Christian/Latin/pop singers. For Proof, look no further than her 2 Latin Grammy nominations, 3 English Grammy nominations, 5 Latin Billboard Award nominations, her Latin Billboard Female Pop Album of the Year award, 6 Dove Awards, El Primiro Lo Nuestro Award for New Artist of the Year, Soul to Soul Honors and an American Music Award nomination. Jaci has sold over 3.5 million albums, garnered 3 RIAA certified Platinum recordings, 3 RIAA certified Gold recordings, 16 #1 radio hits and has graced more than 50 magazine covers. Her resume includes ad campaigns for Pepsi, Doritos, Target, Frizz-Ease and Helzburg Diamonds. 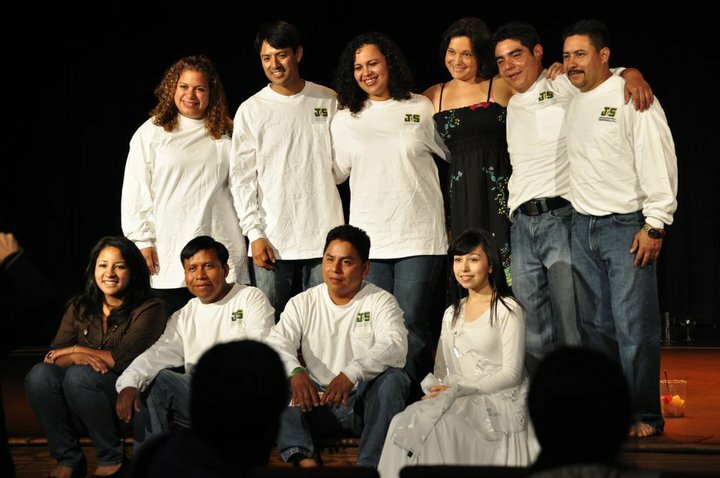 Raised in the church, Jaci has never strayed far from these roots and has always been willing to support Músico a Músico appearing on its initial promotional DVD in 2005. 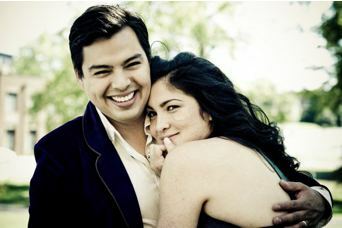 Nic Gonzales and Jaci Velasquez are married and have two young children. Together Jaci & Nic will participate by singing, sharing and ministering through their gifts but will also spend time during the class sessions in front of the students giving their testimony together and even taking questions for a real intimate time for all the students. Destino is a rising- star band based in Nashville with a heart for ministry and a sound meant to be embraced. As such, they’re a Band for everyone. 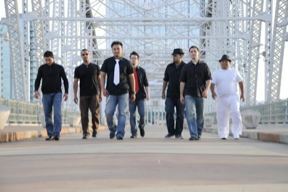 Destino’s first album project, “Belleza del Cielo” is schedule for release this fall. They have a great following of faithful fans and they’ll light up the evening for all. Músico a Músico opens this event on Wednesday evening with the MaM Band leading and mentoring in worship at Christ Church’s “Wallace Chapel”, 15354 Old Hickory Blvd. Nashville, Tn. 37211. Over 100 classes taught by over 20 instructors, featuring some of the best musicians and artists ever assembled for an event such as this. Classes will begin at 9am through 5pm Thursday, Friday and Saturday. With free concerts open to everyone each evening at 7:00pm. Those students who successfully attend required classes will qualify to receive the Músico a Músico “Certificate of Recognition” presented during the closing ceremony on Saturday evening, August 7th. To register for classes visit www.artesadorando.org or call 615.592.5060 also you’ll find a complete list of classes to be presented and bios on each instructor. The cost for all three days of classes in advance is just $50.00!! [O]ut of 230 applications just 44 were chosen for the competitive program run by a local non-profit that exposes local leaders to a broad and in-depth view of their communities...[T]he group will hear from about 125 speakers and make on-site visits to business, non-profit and government offices while addressing issues such as crime, affordable housing, school finances, racial tensions, transportation and arts funding. Read the full story in the Tennessean here. 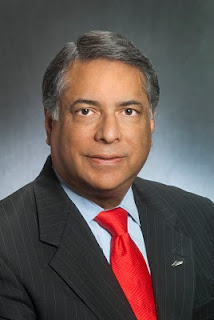 David Esquivel is a partner at the large Nashville law firm Bass, Berry & Sims. The son of Cuban immigrants, Esquivel is a past recipient of the Tennessee Bar Association's Harris A. Gilbert Pro Bono Attorney of the Year Award for trying a torture case against an ex-military official from El Salvador for the commission of crimes against humanity almost thirty years ago, leading to a civil judgment in favor of the victims. I am the child of Cuban immigrants. My first language was Spanish, and all of my older relatives, including my father, speak English with a heavy Spanish accent. I don’t want those kinds of characteristics – skin color, national origin, and English proficiency – to be the difference between one of us driving home with a ticket, and spending a night in jail. Esquivel's full remarks to the Metro Council are below. Paz, who opened Las Paletas with her sister, Norma, about eight years ago, puts a fresh, healthy dinner on the table in under an hour most nights — often less than 30 minutes. For our Nashville Cooks series, she shows us how she does it. Growing up in Guadalajara, Mexico, Paz spent time with her mother as she cooked, but she didn't necessarily learn to prepare certain dishes from her. Rather, she watched and listened. "I think we're all capable. You don't have to come from my culture. 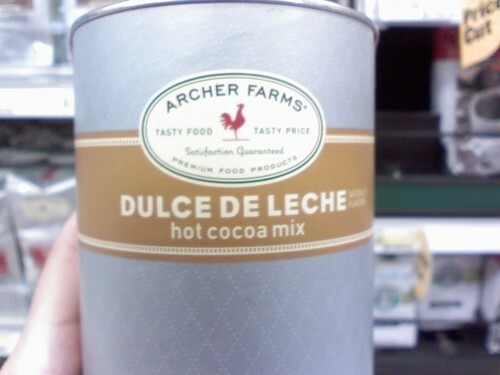 You don't have to have a degree in culinary foods. You don't have to have a refrigerator full of things." will be featured July 19 in the second week of a new Food Network show titled Kid in a Candy Store. Hosted by Adam Gertler, a former contestant on The Next Food Network Star, the show documents Gertler's trips across the country to find sweet things to eat. "He has a lot of energy," says Irma Paz Bernstein, who's coming up on nine years at Las Paletas. She says the segment was shot a couple of months ago, and it sounds something like Diners, Drive-Ins and Dives with a focus on desserts. In the sisters’ native Mexico, “paletas” refers to popsicles made with fresh ingredients. “I chose to attend this convention solely to try these paletas,” notes Bunny, who discovered the popsicle shop, Las Paletas, and its proprietors, the Paz Sisters, on a foodie website. “My favorite so far is avocado, but they’re all sublime.”...The sisters were raised on paletas, as they’re known in Mexico. 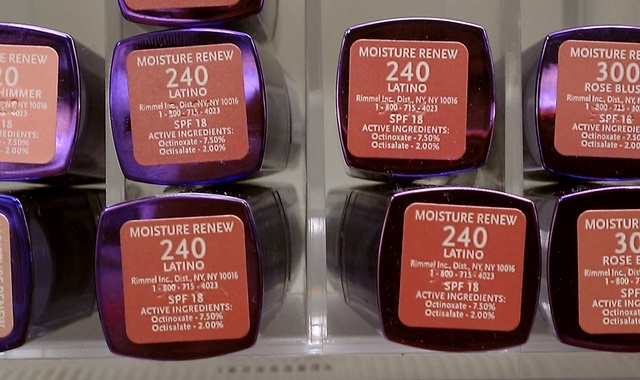 “They’re part of the daily diet, part of the culture,” says Irma Paz-Bernstein, a former news producer for Telemundo and Univision, who grew up in Guadalajara and shares blending, squeezing, chopping and pureeing duties with big sister Norma Paz-Curtis. Nashville’s best frozen treats for keeping summer cool...Sisters Norma and Irma Paz started the business six years ago after a visit to Mexico convinced them that there might be a market here for the refreshing treats...Las Paletas’ reputation reaches far beyond Music City. Chef Bobby Flay recently challenged the Paz sisters to a “Throw Down,” which will be featured on Food Network later this summer. The journey to what has become Las Paletas on 12th Avenue began when Norma Paz was looking for an opportunity to raise her children at home instead of sending them to day care. She approached Irma, a television producer who globetrotted for Spanish language television stations Telemundo and Univision, with an offer to start a business. See photos of the Paz sisters here (August 2008) and here (May 2003), and see photos of Las Paletas itself here. Las Paletas recently moved a block or so north on 12 South, into the same building that houses Burger Up. "Playbill for theatrical presentation of Walker’s exploits in Nicaragua. 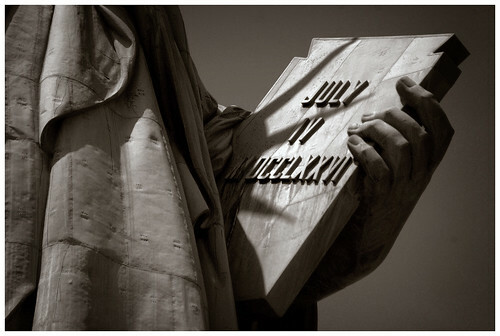 Many Americans welcomed the conquest as evidence of God’s will." The name of William Walker is, by this time, as widely known as that of any other living man in the Old World or in the New. Though his notoriety has long since faded here in his home town (despite this downtown historical marker), the young, Nashville-born, one-time president is the subject of legend in Central America. One of Costa Rica's main national heroes is a boy who died in a battle against Walker, named Juan Santamaría. 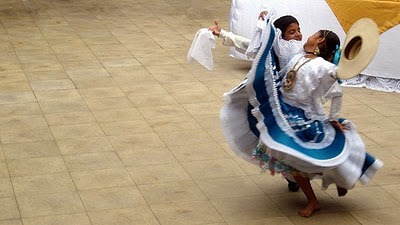 The main airport in San José is named after Santamaría, as is a Costa Rican national holiday. So it was interesting to see that the Tennessean did recently mark Walker's long-ago July 12 inauguration, even if the mention came in a single paragraph in the history column "Skits and Bits." Last July, the storyteller-of-history podcast The Memory Palace told the story of Walker in the episode "Presidente Walker," which still can be heard online at that link. In 1987, there was a feature film called "Walker," in which Ed Harris played William Walker, and Everybody Loves Raymond's Peter Boyle played Cornelius Vanderbilt. Ebert & Roeper gave dismal reviews to the film, and I think they got it wrong when they said Vanderbilt hired Walker to take control of Nicaragua. Read Bill Carey's article in the Vanderbilt Register for the local historian's take on their intertwined fates. There is also the book Tycoon's War, about both Walker and Vanderbilt, but you might want to hit the library and not the bookstore for that one. Bookslut was not impressed, and the Wall Street Journal wondered aloud about its historical accuracy, saying the author "gets enough small stuff wrong to make you wonder what else is amiss". Michael Glasgow's 2008 book The Bridge mentions William Walker 23 times. The Bridge tells the internationally renowed story of Eric Volz, who graduated from high school in Nashville and who was tried and convicted and later acquitted for murder in Nicaragua - the same country where Nashville-born Walker became President on July 12, 1856. Nashville is one of 18 cities still in the running to host the 2018 or 2022 World Cup if the U.S.A. is selected as the host country, and in conjunction with that effort, Nashville's LP Field will be the site of a free, official World Cup Final watch party this Sunday, July 11. Details about the watch party are here and below. Details about Nashville's bid to host the 2018 or 2022 World Cup are here. SUPPORT MUSIC CITY'S WORLD CUP BID! Bring the whole team and wear your jerseys. Show your support for Music City soccer! Bring the World Cup to the US. Bring the World Cup to Nashville! Sign the petition at visitmusiccity.com/worldcupnashville. "Things are a lot more difficult now than they were in the past"
"I decided to become a U.S. citizen when I became a mother"
"I've always wanted to have my own business, be my own boss"
This is the second segment of a multi-part interview with Maria Teresa "Tera" Vazquez, co-founder and President of Guy Brown Products, a $200 million ink toner cartridge supplier in Brentwood. 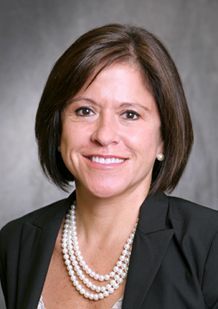 Vazquez is also the first elected woman president of the Tennessee Hispanic Chamber of Commerce. The first segment of the interview is here. 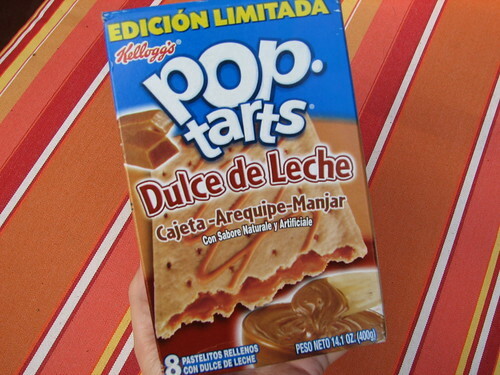 At what point did you decide that you would stay in the U.S. and not return to Peru? After I came back to go to American University and I started working at Pelikan, Inc., here in Franklin, Tennessee, that's when I decided I really want to stay - I can make it on my own. After your transfer to Franklin, or before your transfer to Franklin? Before I transferred to Franklin. When I was going to graduate school, that's when I decided I wanted to stay. How did you arrange the visa immigration transition from student to permanent resident? The company that I used to work for was sponsoring my visa as a temporary worker, and then I got married, and became a citizen a couple of years after that. You have to remember that the time when I immigrated to the United States, you have a completely different time than today. Today things are a lot more difficult. The U.S. doesn't look at immigration as it used to in the past. In the past, they were a lot more open to it. 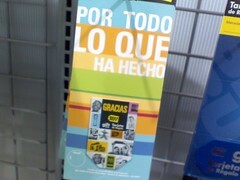 Now there is somewhat of a discrimination if you speak Spanish. Things are a lot more difficult now than they were in the past. And you made the transition from permanent resident to U.S. citizen in the context of your marriage? Yes. I decided to become a U.S. citizen when I became a mother. I wanted to be from the same country as my daughter. How long had you been in the U.S. when you became a U.S. citizen? Pelikan was your Dad's company, but it's also a German company? My father was an owner of a company that licensed the Pelikan technology and the Pelikan name in South America. If you go to Argentina, Chile, there used to be, 20 or 30 years ago, there were Pelikans in every country. My father happened to be one of the owners of Pelikan in Peru. It was a licensed name in technology. Originally, Pelikan is an old German company. Was Pelikan in Franklin before you got here, or did you bring it here? 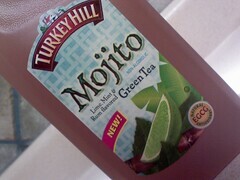 No, no - it was in Franklin a long time before I came here. I don't know how they ended up here. The U.S. headquarters were in Franklin. And then you left Pelikan for a job to be Director of Product Marketing at NuKote, and then later Director of Sales and Marketing for Latin America, is that right? No, I did not leave Pelikan. Pelikan U.S. was acquired by a company named NuKote International, and NuKote International decided to keep me as a product manager, because I was a product manager under Pelikan, and they decided that I did a pretty decent job, so they decided to keep me. And then over time, I got promoted to the director of Latin American sales since I spoke Spanish, and I did that for six or seven years for them. What led you to start Guy Brown? I've always wanted to have my own business, be my own boss, and a mutual friend of one of my partners and mine put us in contact. He was the COO of NuKote International, and one of my partners and this gentleman were neighbors. So we got together. My partners have a mindset of investors, and they knew they wanted to get into something, and I happened to know the technology of remanufactured cartridges, so it was the perfect partnership. Was that the same kind of technology that you were working with at Pelikan? How did you know about that? I learned that at Pelikan and NuKote, by being the product manager. I learned that there. By the way, where did the name Guy Brown come from? My two partners are from India, and they call themselves "brown guys." So "Guy Brown," "Brown Guy." You're president now, and you own one third of the company, is that right? Yes. We started the company one third each, and we still have the same ownership. 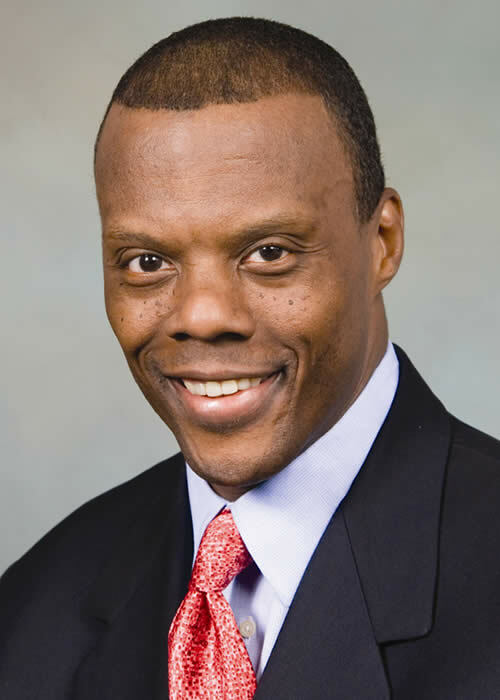 Sometimes among business partners, the dynamic changes over time as the business develops, has that happened with Guy Brown? It has, but for the positive side. We've all grown through these years. Everybody brings something to the table. I first met Carolina Coulon at a Belmont United Methodist Church benefit concert for victims of the Nashville flood and victims of the Chile earthquake. Carolina was manning the Musico a Musico table, where she was explaining the theater work she does with that arts & worship group. Musico a Musico's Nashville Congress in coming up in August. 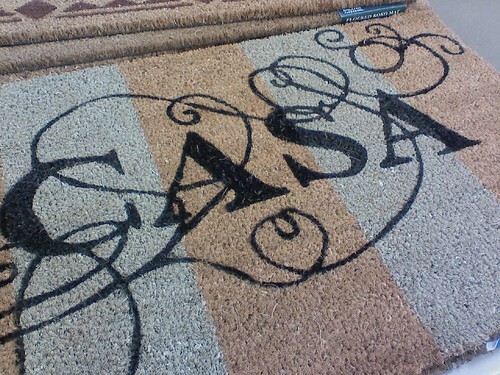 HispanicNashville.com: Are you in the United States exclusively for Musico a Musico? Coulon: No. I visited the U.S. for the first time for Musico a Musico. 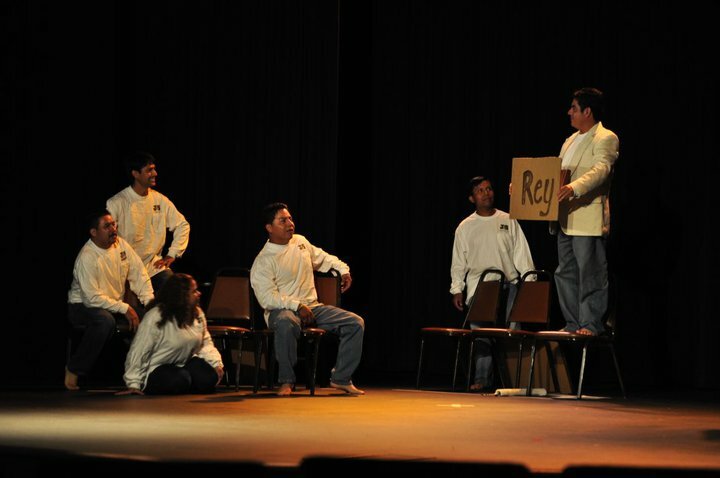 but last year when I was in another Musico a Musico congress, the Pastor of the church Ministerios Casa del Banquete Olivier Leiva invited me to be here for six months working with Hispanic churches, to teach theater to various different churches. 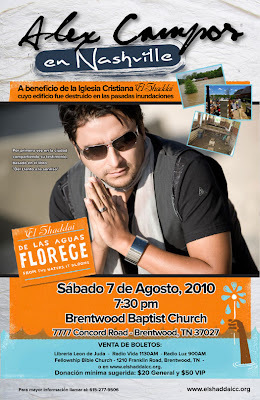 I visited Casa del Banquete here and in Atlanta, and I was also in a number of different churches in Nashville - Jesus el Buen Pastor, El Shaddai, Una Esperanza Viva, Christ Church-Latina, and Iglesia Metodista Unida West Nashville. 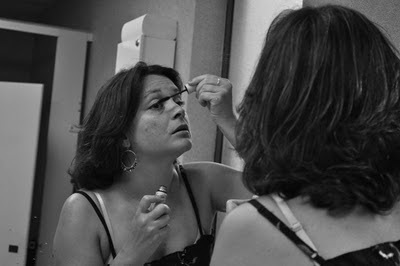 HispanicNashville.com: What type of theater work are you doing? 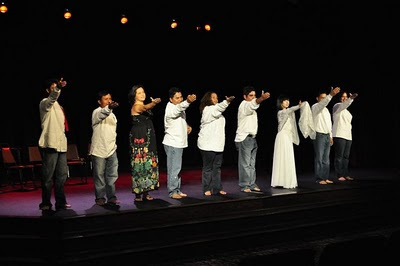 Coulon: What I'm teaching is pretty basic so that a church can form its theater group - corporal expression, vocal expression, the technical differences between theater, drama, mime, and dance. Generally, churches are somewhat casual in their theater, and little by little the churches are requiring something a little more professional, so I give them that technical vocabulary. In June I was working with Instituto Allegro, which is affiliated with Musico a Musico, where I did one theater workshop and one dance workshop, every Monday from 7-9 p.m. and Saturdays from 9:30 a.m. to 1:30 p.m., at Christ Church. The other thing I'm doing is working with women in Bible studies in Latin churches. HispanicNashville.com: How long will you be in the United States this time? Coulon: I arrived on February 9, and I'll leave in August. 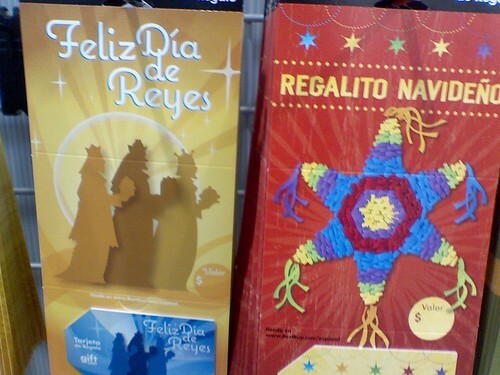 HispanicNashville.com: Will your students in Nashville be displaying what they've learned in a public performance? Coulon: The Instituto Allegro workshops in June ended with a show that was open to the public, and the next event that is open to the public will be the Musico a Musico Congress the first week of August. The second part of this interview with Carolina Coulon will be published soon at HispanicNashville.com. In the meantime, you can learn more about Coulon at her web page. Photos of the Instituto Allegro final performance in June are below. All photos are by Constanza Zurita. "Since 2007, the sheriff's office has tracked the number of people they arrest who do not have a Social Security number, were not born in the United States, and do not have a drivers license. Each time the office encounters a person that fits in that category, it immediately notifies ICE. The numbers have dwindled since the economy turned sour, said Dobbins, who oversees the chart. The number of inmates that fit the criteria peaked at 101 in August 2007 and have been as low as 13 in June 2009. [Sheriff Jeff] Long believes that low illegal immigration activity in the county also led to them being denied 287(g) status." The report states that since 2007, Williamson County has participated in the Criminal Alien Program, by which the county can notify ICE of the people identified by lack of SSN, U.S. birth, and drivers' license. ICE can then conduct its own investigation of the individual's immigration status. Photo by andrew dean photography. Licensed via Creative Commons. 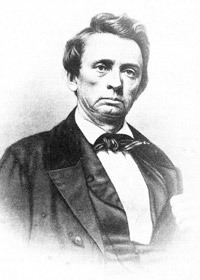 A recent gaffe by State Senator Douglas Henry that started as a defense of Hispanic Nashvillians - and Arizonans - reminds me of a historic Tennessee anecdote from a governor's race fifty-nine years before Henry was born. First, about Henry's gaffe. It occurred on June 4, 2010, in the chamber of the Tennessee State Senate, when Henry simultaneously stood up for his Hispanic constituents while stumbling over those of Middle Eastern descent. Henry was voicing his opposition to the legislature's resolution commending Arizona on its recent immigration law, and he started out by pointing out how Phoenix is one of the top five safest cities in the U.S. He then turned to describing the hard-working Hispanics in his Nashville district, but at the same time, Henry also implied that the Arizona law might have made more sense if it had targeted Middle Eastern immigrants - who "people might say well they're going to throw bombs and blow people up." For Henry's exact words, go to Pith in the Wind, or view the video on the legislature's web site. I heard a Conservative German yesterday sharply criticize Brownlow's Knownothing past. A bystander asked, what have the Germans always got against Brownlow? Did he ever insult the Germans like [gubernatorial challenger Henry Emerson] Etheridge who once spoke of "a pack of dirty dutchmen," and on another occasion spoke of "d-----d dutch intruders"? No, Brownlow has never criticized the Germans. True, he has reviled foreigners, he has expressed the opinion that it would be better if they were to drown on the other side of the Atlantic, and so on. But by foreigners, Brownlow meant Greeks and Arabs and the like. He never said anything against the Germans. They are his best friends. I wonder whether the writer intended for his German audience to be comforted or horrified. Ironic wit, perhaps? Henry isn't Brownlow, and his comment can't be equated to the description of Brownlow's views. Furthermore, Henry said what he said in the context of standing up against the "Praising Arizona" resolution, and earlier this session he stood up for translations of the written drivers' license exam (my wife took the Spanish-language written test way back when, so I appreciate that). Henry was also the only Senate vote against an immigration enforcement law that passed in 2007 but has so far proven to be so useless to the state that it has boasted only one formal charge after more than two years in effect. But Henry's gaffe was a gaffe nonetheless, and one that was at the expense of Tennesseans and Arizonans of Middle Eastern descent - unless, perhaps, Henry was using irony in the style of the Staatszeitung writer. Henry faces challenger Jeff Yarbro in the upcoming elections.